The English canal system was the product of the industrial revolution. It was the potters who first promoted the canals as a way of getting fragile pottery to markets without bumping down rutted paths in horse-drawn carts. As England’s production powerhouse geared up, the canal’s provided the wiring that kept the good flowing. Soon there was an enormous network of canals across England. 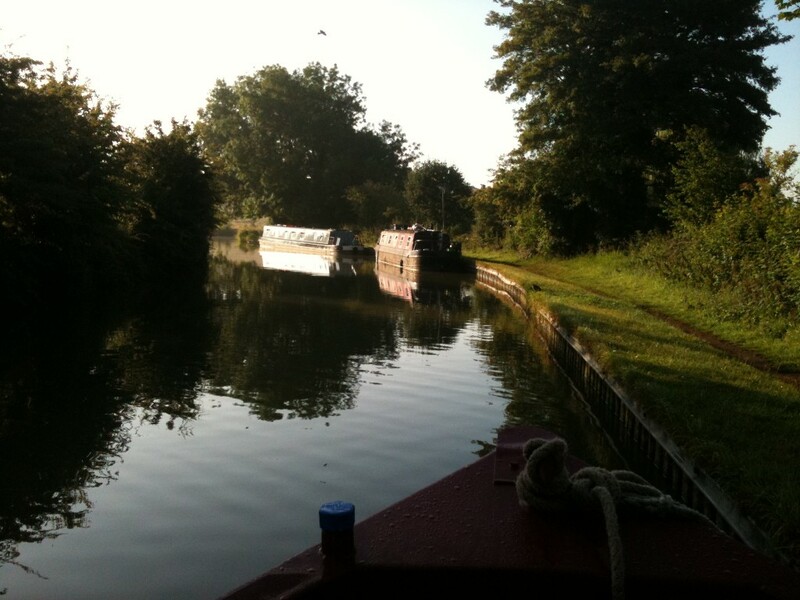 The Oxford canal is the one we’re on now. It was built in the late 1700s and they built it the ‘easy’ way. That’s easy from an engineering point of view, rather than an Irish navvy back-breaking labour point of view. The canal follows the contours of the land, roughly at least. The result is a twisty, windy canal. Part of it was straightened later, but most of it remains in its original meandering configuration. At one point it takes 11 miles to cover a point-to-point distance of 5 miles. The speed limit on the canal is 4 miles an hour – so at full speed we would be going less than the average walking pace. We have not, I have to say, come anywhere near full speed though. Sometime this afternoon I finally got the confidence to put Grendal into conceptual third gear (she doesn’t really have gears). 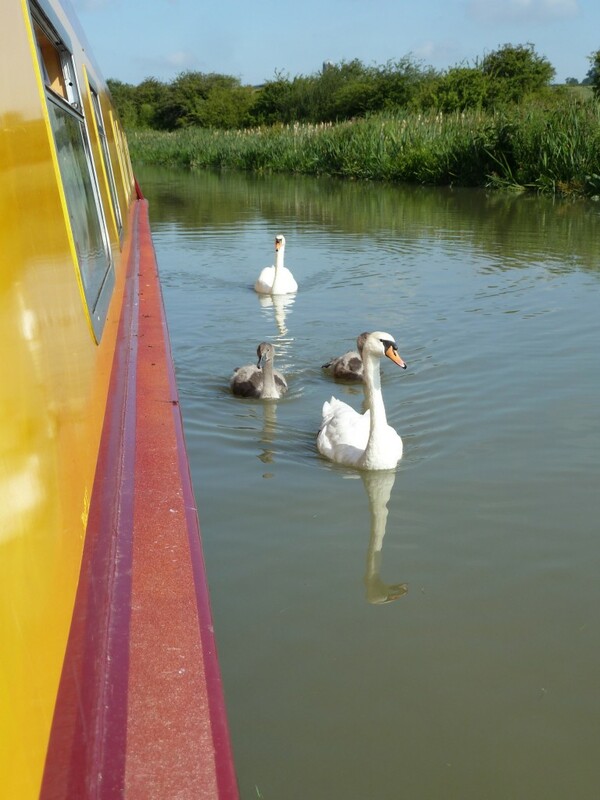 That had us doing about 2.5 miles an hour so we kept on pulling in to the side to let other boats past. We’ve really got nowhere in particular to be so we’ve decided slow, comfortable, calm motoring is the way to go. We woke up this morning to another type of day, by the way. The sun has been shining all day. I have, touch wood, begun to get the hang of the steering this mini-supertanker. We laid in supplies of groceries in the village of Hilperton. Today, the world was looking calmer and shinier, no doubt. Anyway, the speed is somewhat misleading because the locks bring your average way down. We went through a set of three locks this morning and it took us over an hour to do so for a gain of about half a mile in distance and 5.7m in height. 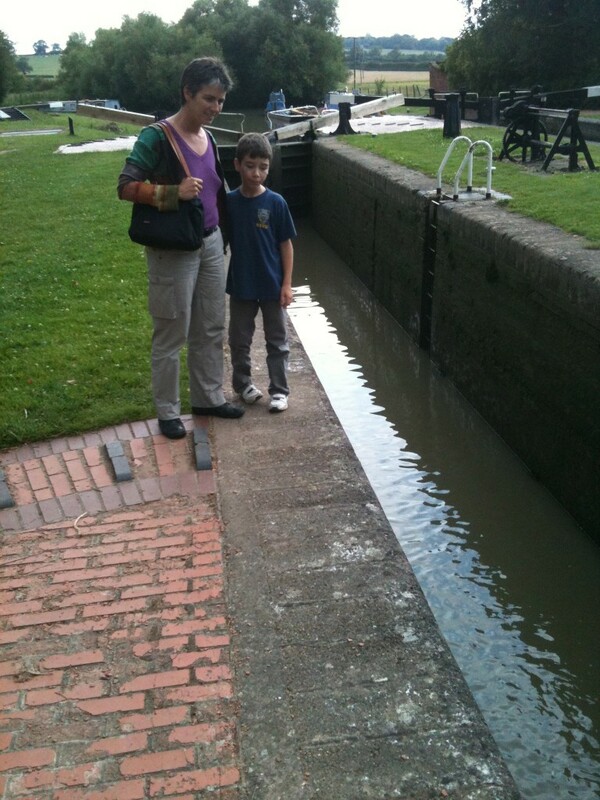 We are a tad slow in the locks because ideally we’d have another adult involved, but the boys did all they could and did it well. The locks are an entirely manual and DIY affair – no lock-keepers selling homemade jam as in France. You have to open the sluice gates by cranking a winch with a handle you bring with you. You open the lock gates by putting your back to a huge lever and walking backwards until the gates swing wide – it was this the boys could, with effort, do. The boat fits into the lock with only a couple of inches to spare on the side – this standard lock-size determined the traditional narrow-boat design and for obvious the design isn’t open to innovation. Canals started to decline when the railway took off. The decline was fairly abrupt, partly because the canals were general privately owned and so their owners converted to the rail system when they saw the writing on the wall. One of the lovely discoveries we’ve made today is that there is still some commercial traffic on the canals. People transporting some goods, people working from traveling boats. It’s lovely to see some remnants of the commercial canals. Even lovelier is the thought that people can still pursue a lifestyle at slower than walking pace.